Gram flour snacks, fried in sunflower oil. LIGHT & CRISPY / A classic Asian inspired snack, with a delicate crunch / Our snack experts started as a small, family owned business in 1956. 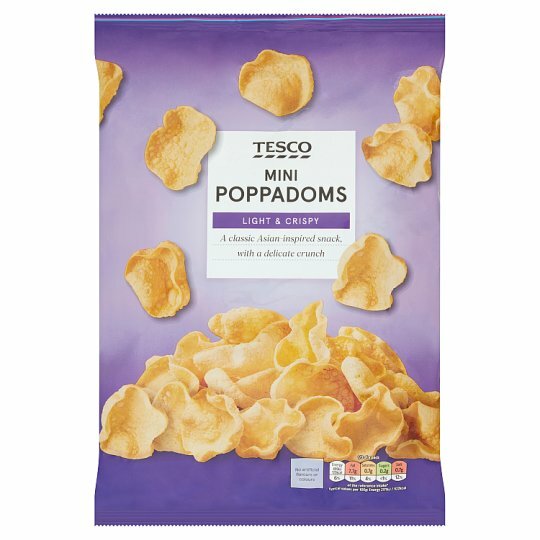 Over the years they’ve perfected crisps and other traditional snacks. Today they draw on that heritage to evolve the classics, and create new snacks for you to enjoy. INGREDIENTS: Gram Flour, Sunflower Oil, Salt, Raising Agent (Calcium Oxide), Rice Flour.